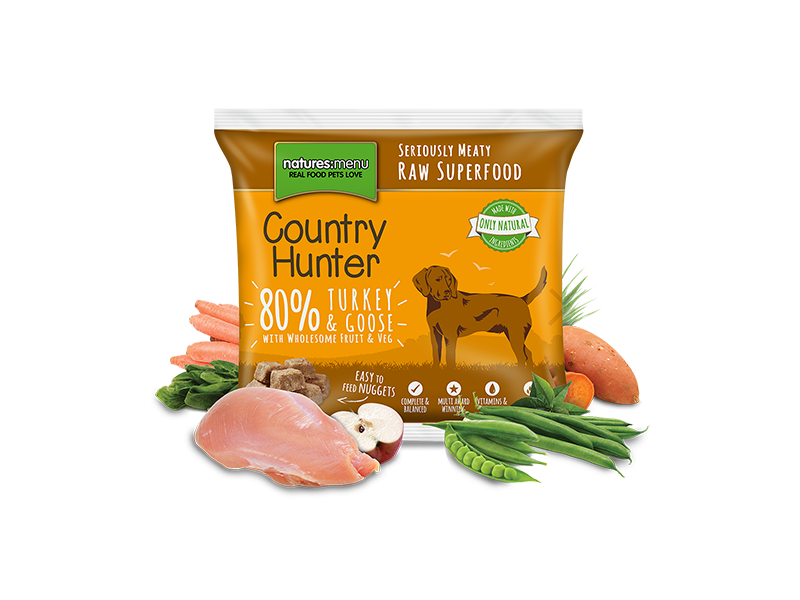 Our range of complete and balanced bite size nuggets are provided as easy to serve, ice cube sized nuggets that you simply need to count out into your dogs bowl when frozen, leave to defrost (overnight or for around 2hrs) and then simply hand the bowl to your dog, its as simple as that! 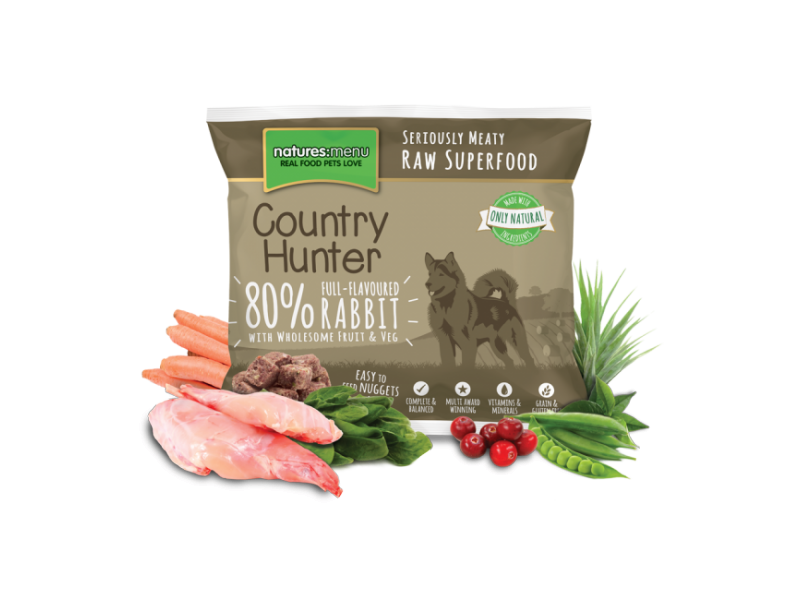 *A Grain Free Raw Superfood Meal. 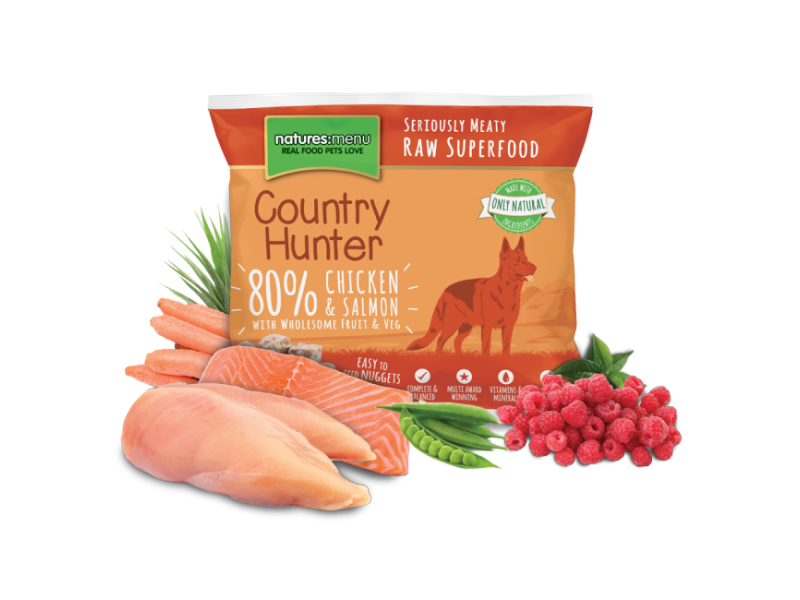 Salmon is well-known for its high omega fatty acids content making it a great choice for boosting heart health, kidney function and joints through the production of collagen and anti-inflammatory molecules. Salmon is also packed with Vitamin D and has high levels of B12 and the calming amino acid Tryptophan. 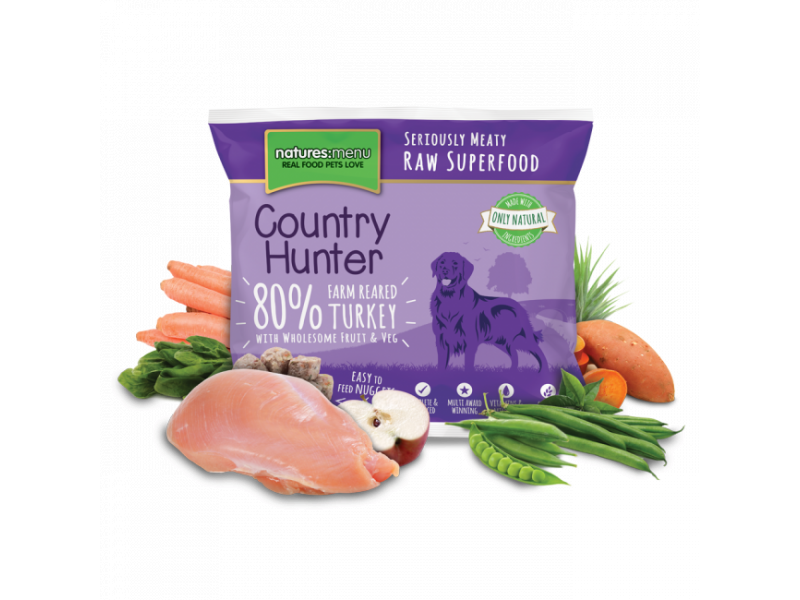 Chicken is a delicious light meat, a firm favourite for all dogs. 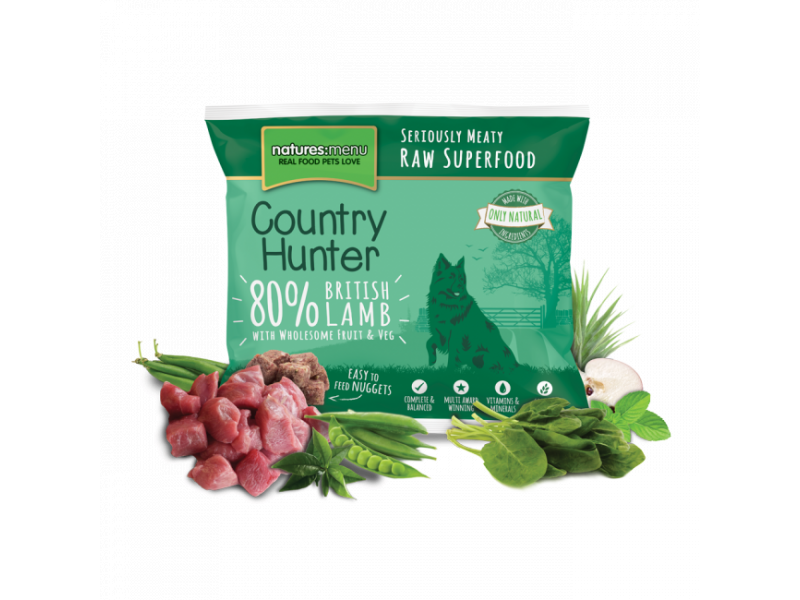 An easily digestible protein that contains many B vitamins & useful amounts of Iron, Zinc, Phosphorus, Selenium and Potassium. 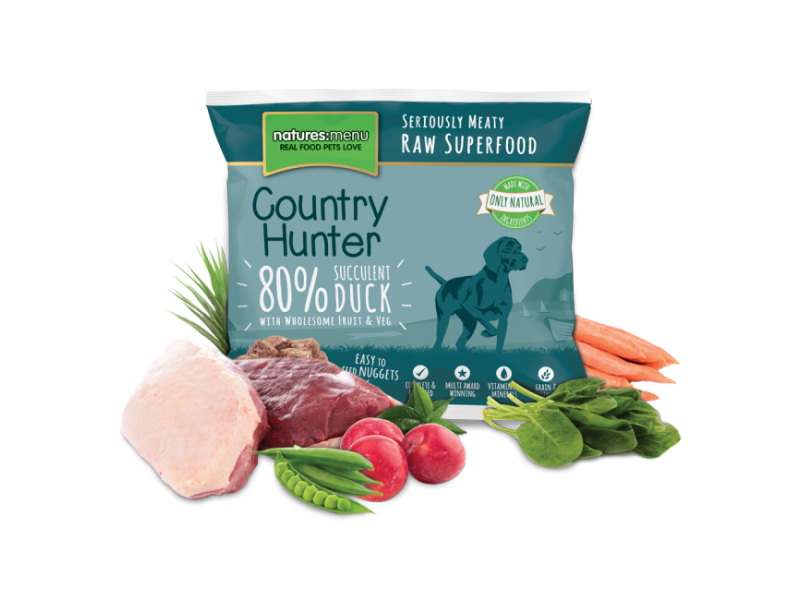 80% Duck, 4% Peas, 4% Swede, 4% Carrots, 4% Plum, Seaweed (1%), Spinach (1%), Yucca Extract, Green Tea Extract, Grape Seed Extract, Dicalcium Phosphate. Protein 12%; Crude Oils & Fats 8%; Crude Ash 2.5%; Crude Fibres 1.5%; Moisture 70%. 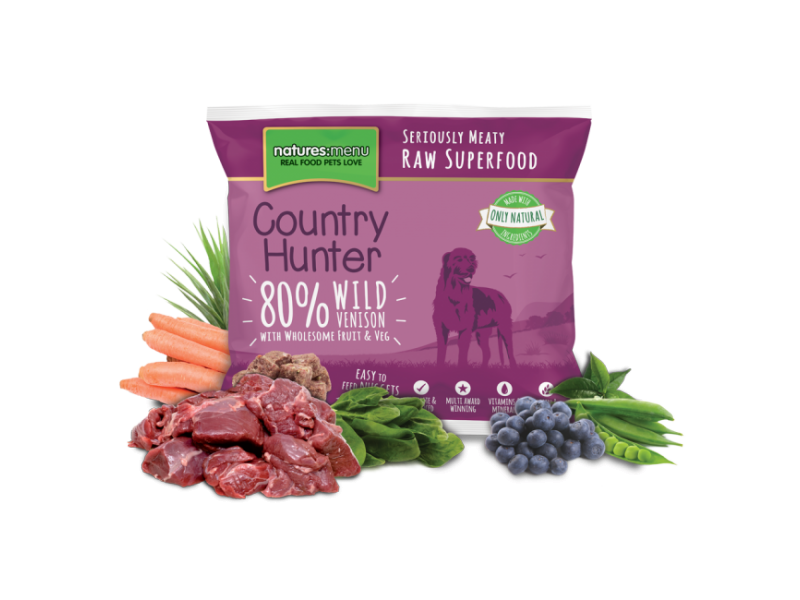 80% Venison, 4% Peas, 4% Swede, 4% Carrots, 4% Blueberries, Seaweed (1%), Spinach (1%), Yucca Extract, Green Tea Extract, Grape Seed Extract, Dicalcium Phosphate. Protein 14%; Crude Oils & Fats 7%; Crude Ash 2.5%; Crude Fibres 1.5%; Moisture 68%. The nuggets may take up to 2 hours to defrost, depending on the temperature of the environment they are being defrosted. 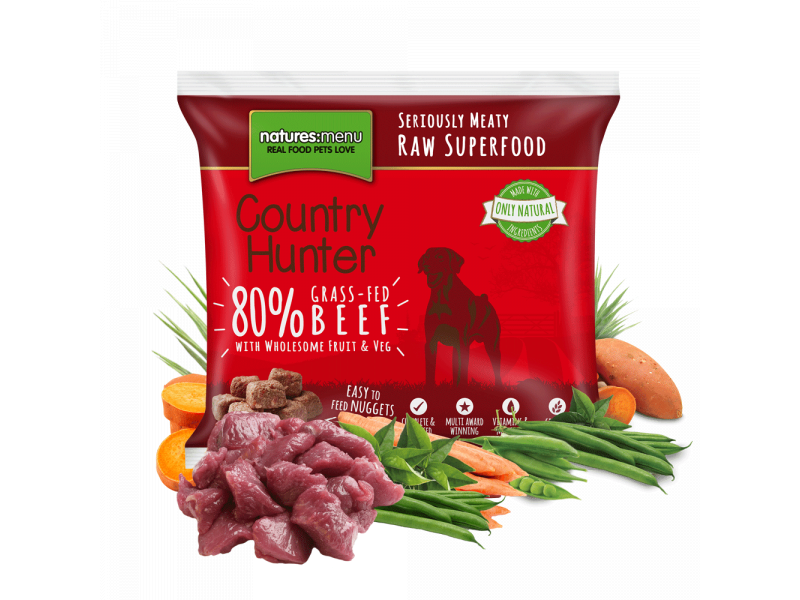 Below are some recent questions we've received regarding Country Hunter Frozen Nuggets, including answers from our team. Then how many servings are there in one container? There are between 58-60 nuggets per 1kg bag.